Took around 11 days through AlertPay. I doubt DonkeyMails will scam everyone. They have been good for many years, I would trust them and wait patiently. 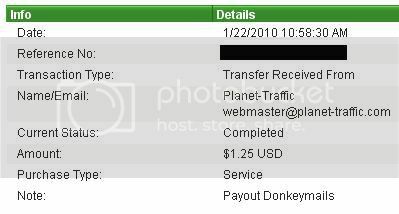 Donkey really pay me again.